Material GRP The 645 Cabin is the hugely popular family boat in the Savage Cabin series. In a word, it's BIG. With a reconfigured cockpit, it is well suited to the family or can be adapted to an enormous cockpit that provides an ideal offshore fishing and diving platform. 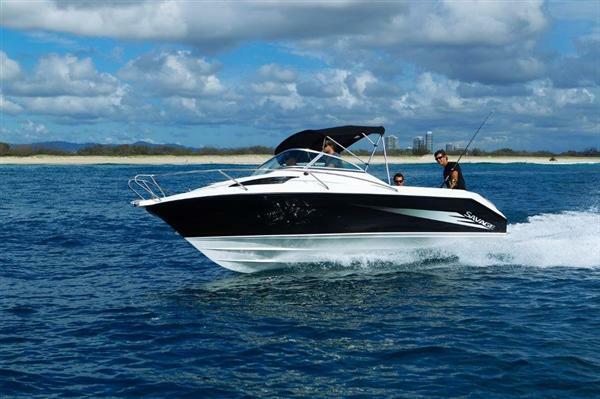 Delivering superior performance and handling, the versatile 645 Cabin is Savages most popular boat in the range. The low-profile cabin adds to its sporty feel and allows greater vision at the helm, without compromising valuable cockpit space for maximum fishability or cabin space for the family.